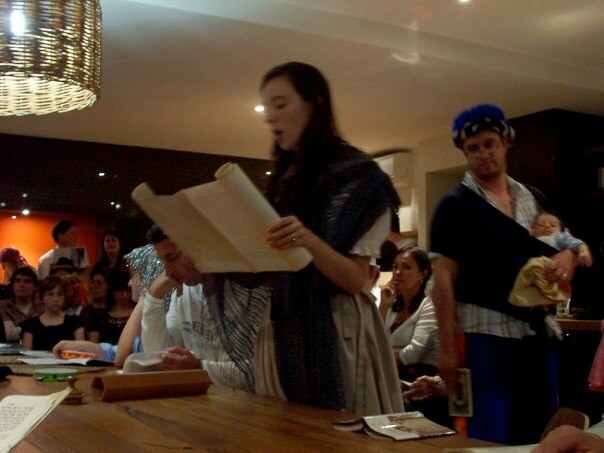 Please take notice that the Annual General Meeting of the Members of Shira Hadasha, Melbourne will take place on Sunday 29 November 2015 at the Shira Premises, 222 Balaclava Road, Caulfield North at 10.30am. The confirmation of the Minutes of the Annual General Meeting held on 26 February 2014. The presentation and consideration of the President’s Report. The presentation and consideration of the Financial Report. The election of office bearers and members of the Board. The consideration of any motion of which not less than seven days notice in writing has been received. Membership can be taken out by clicking here. Voting at General Meetings, including the Annual General Meeting, by proxy is not allowed under Clause 19 of the Constitution. Please also note that the Financial Report is available on request and will in any event be discussed at the meeting. Posted on November 10, 2015 by Admin and tagged Shira Events Shira News. Israel hit international headlines in 2012 with controversial stories of intolerance and religious radicalism. In the center of these stories was the small town of Beit Shemesh. In response, a series of tolerance building projects were launched in the city in an effort to support and strengthen the voices of mutual respect. 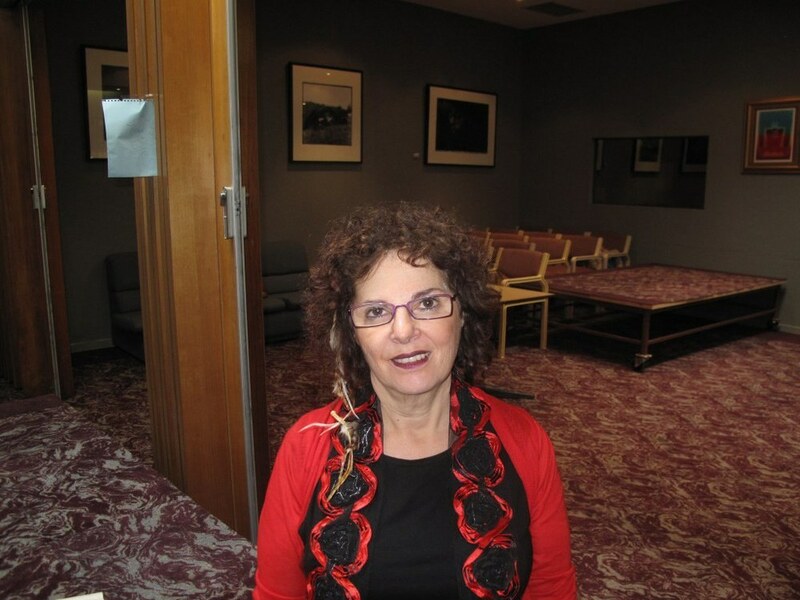 Shira, Habonim Dror and Melbourne Moishe House were proud to be the first communities in Australia to screen Wonderful Women (Nashim Nehedarot) on Tisha B’Av 2014. First screened in Israel on Tisha Be’Av 2013, the documentary was produced by filmmaker Hila Timor Ashur. 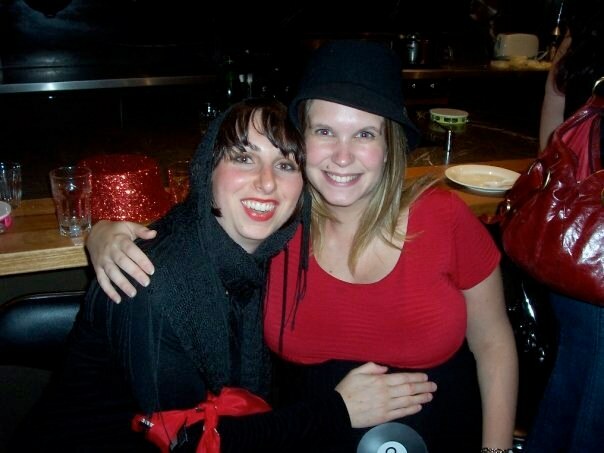 She co-founded the initiative “Wonderful Women” together with her friend Chaya Josovic. 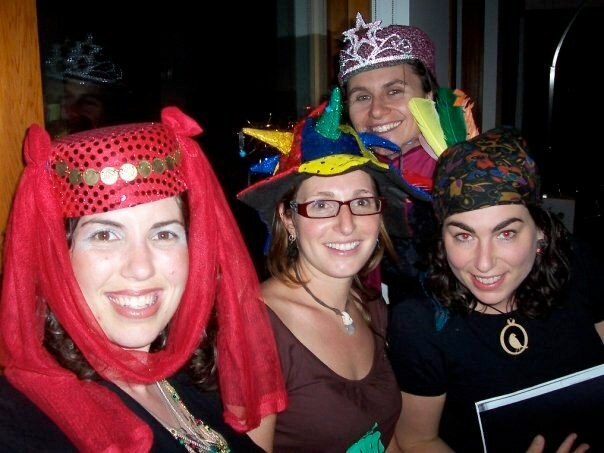 Hila is a secular woman from Mateh Yehuda and Chaya is a Haredi woman from Beit Shemesh. They decided to create an initiative to bring women together from Haredi and Secular backgrounds, to get to know each other and break down stereotypes by creating films together. This project is sponsored by Partnership2Gether of the Jewish Agency – Beit Shemesh – Mateh Yehuda – South Africa – Washington DC. After the screening on the film, Hila spoke with the community via skype, sharing some moving stories of increasinging solidarity between Haredi and Non-Haredi Israelis in Beit Shemesh during Operation Protective Edge. Posted on August 12, 2014 by Admin and tagged Shira Events. We welcome you all to our traditional Tikkun Leil Shavuot at 8pm on Tuesday 3 June, Erev Shavuot, for a night of learning Torah, and of course, cheesecake. Our theme this year is "Love in the Time of Torah" and we are thrilled to have an amazing array of speakers to engage us in thought provoking learning and discussion. 10.15-10.45 Merav Carmeli, Currently writing her PhD on "the Divine Feminine in the Zohar"
TOPIC - 'Arousing the Divine Feminine - the Role of the Zoharic Kabbalists'. Adam Hyman, Former student of Yeshivat Maale Gilboa, and film production and cinema studies. Posted on May 25, 2014 by Admin and tagged Shira Events. Shira will be holding a dinner for the entire community. 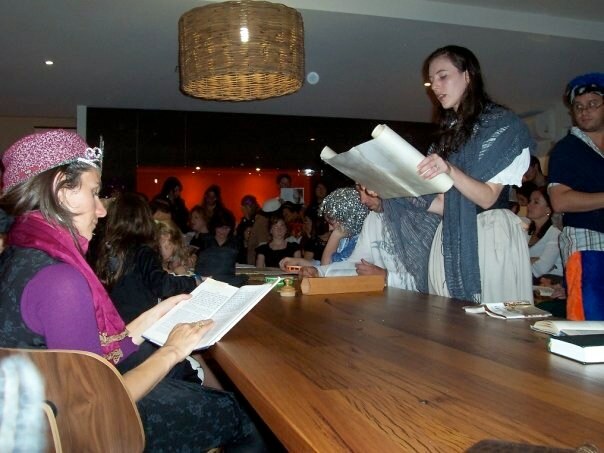 In the Pesach tradition, we will be entertained throughout the evening by storytelling by members of the community. The theme of the night will be Freedom. The event will be in the style of the Moth. What: A delicious vegetarian meal, accompanied by even more delicious stories. When: 22nd March following Kaballat Shabbat. Where: 222 Balaclava Rd, Caulfield. Cost: $25 for students and $40 for adults. 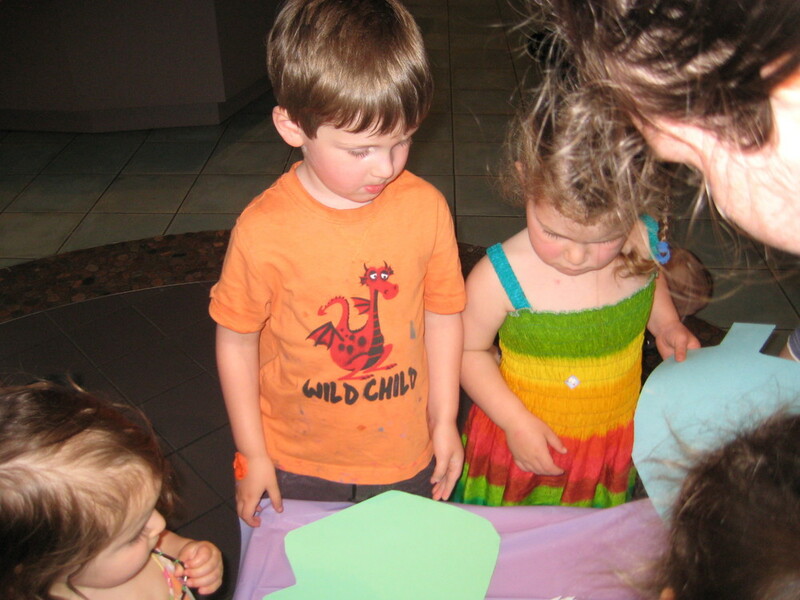 Children under the age of 13 are free.Bookings close Tuesday 19 March. You can book via our website. Posted on March 14, 2013 by Admin and tagged Shira Events. Posted on December 14, 2012 by Admin and tagged Shira Events. Shira will be holding two Chanuka related events during the upcoming week. 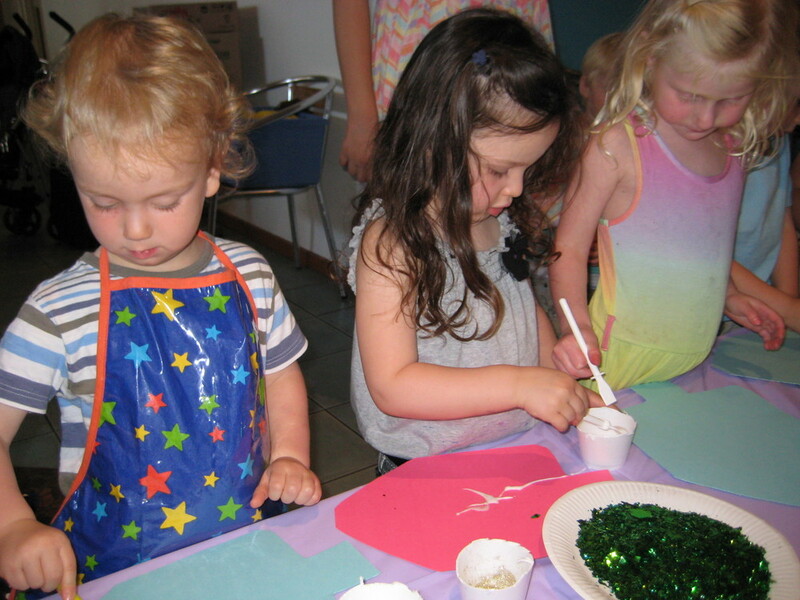 There will be a dinner on Friday night (14 December) and a celebration for tots (aged 1-5) tomorrow (12 December). Shira will be hosting a dinner and a festive Kabbalat Shabbat in honour of Chanuka and our last week of Shule for the year. We will commence the evening with Chanuka candle lighting and singing, led by Ittay Flescher. What: Candle lighting and Kabbalat Shabbat followed by Dinner and sufganiyot. When: Friday 14 December, Candle lighting at 6:20pm, followed by Kabbalat Shabbat at 6:30pm, followed by dinner. Who: Shiraniks (and friends) young and old. Cost: $25 for adults, $15 for students. Bookings close Wednesday, so please pay ASAP via our website. 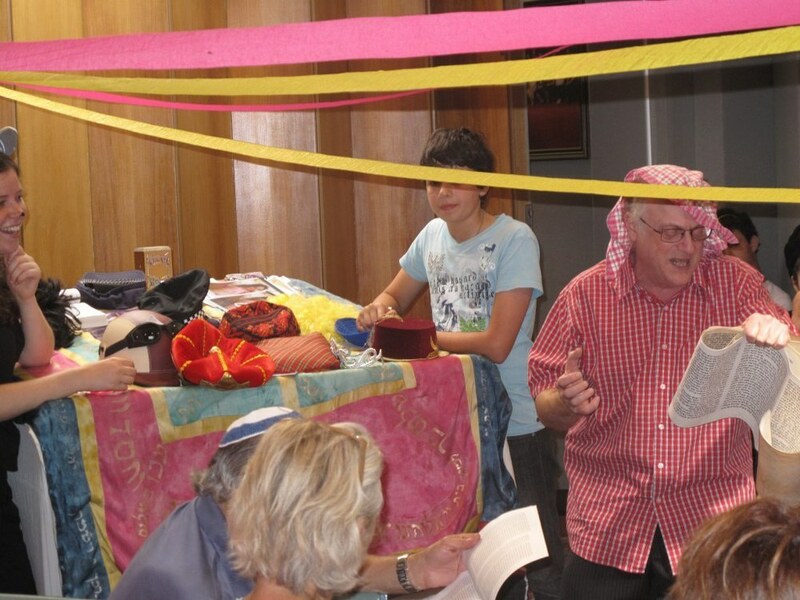 What: Fun Chanuka themed activities run by the Prawer team, including a puppet show, arts and crafts, Chanuka songs and candle lighting, followed by dinner. RSVP: Please RSVP to help us gauge numbers. 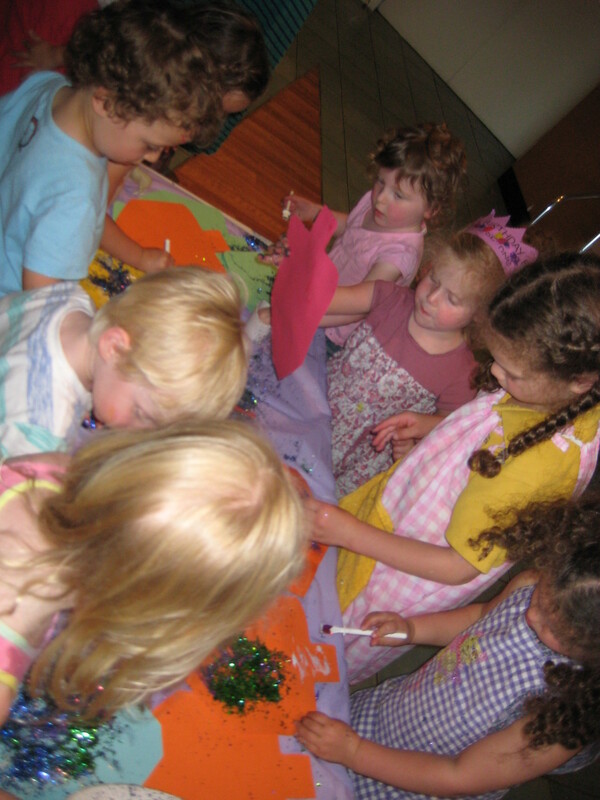 Bring: an art-smock or clothing that can get dirty. Posted on December 11, 2012 by Admin and tagged Shira Events. As part of the Muslim Leadership Program study tour about religions in Australia, the participants in the program were welcomed to Shira on Friday the 9th of November. The MLP is a unique 36 day training course that aims to support leaders who can speak clearly and confidently about the various issues which confront people of Islamic faith in Australia and Southeast Asia today, and who can actively participate in shaping the region's future. The evening began with a Q&A about Jewish beliefs and rituals followed by a joyful Kabbalat Shabbat service. Before Maariv, Yardena Prawer delivered a beautiful welcome message in Arabic, after which MLP participant Shahir Naga delivered a talk about the significance of the book of the Psalms and the Torah in the Islamic religion. 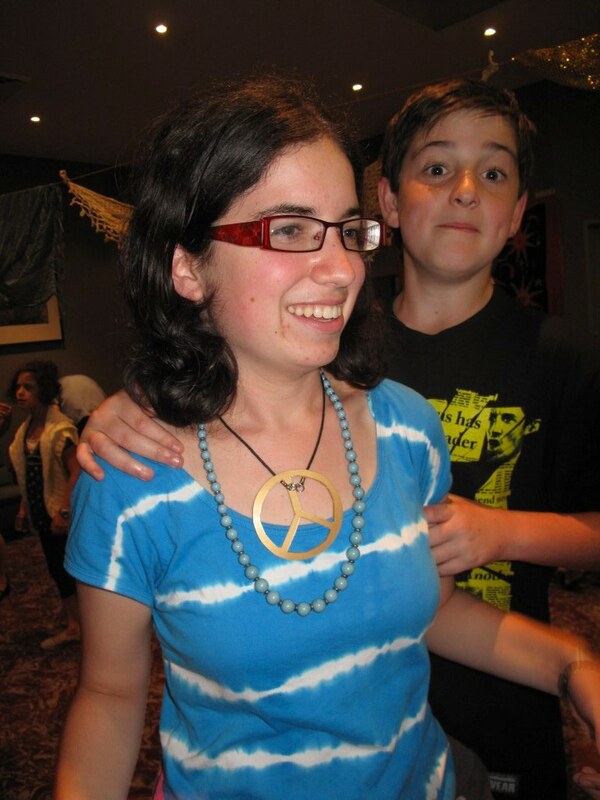 This is a reflection on the evening from Netzer Bogeret Lia Avisar. “It wasn't a surprise for me that the two cultural groups at the dinner found plenty of things in common and got along so well. We are all individuals after all. I was however impressed by everyone's willingness and openness to question and share, with what seemed like such ease and comfort. Once the Kabbalat Shabbat service ended, the group of Muslims invited us to observe Maghrib, their evening prayer. One of the Muslim women I particularly bonded with answered all my curious questions about some of the rituals we saw them perform. After sharing and comparing various rituals and customs from our respective religions and their streams, we both came to realise that the 'correctness' of a ritual or custom ultimately lies in the individual’s religiosity and their connection with the customAll the best or tradition. Posted on November 15, 2012 by Admin and tagged Shira Events Shira News. This week, Shira will be hosting a Muslim Leadership Program forKabbalat Shabbat, followed by dinner with the community. The program is highly prestigious with participants taking part in the month-long program after being selected from around Australia and the world. We urge all congregants to attend, what we are sure will be, a rousing and inspiring Kabbalat Shabbat and for congregantsunder 35 to book and attend the dinner which will follow the service. Bookings close on Tuesday, so please book ASAP. Please contact Ari if you have any questions. Posted on November 5, 2012 by Admin and tagged Shira Events. Shira will be hosting a Kiddush lunch on Shabbat October 13th. Hagai El-Ad will speak following the completion of the Shabbat Service. Hagai is the Executive Director of the Association for Civil Rights in Israel (ACRI) and will talk about his work at ACRI. You can find out more details about Hagai here. When: October 13th following the Service (approximately 12pm). Cost: Lunch and the presentation will cost $20 for adults and $10 for students. Please pay ASAP via Shira’s website. Posted on October 3, 2012 by Admin and tagged Shira Events. Shira is excited to be hosting another of its famous Kiddush Lunches on July 21st. Rebecca Forgasz will be talking on the topic: 'Women known for these acts': Lesbianism in Halacha. Lunch will begin following the Service at approximately 12 and the talk will commence at 12:30pm. Bookings for the Kiddush lunch will be closing this Wednesday (July 18th), so book ASAP so you don't miss out. Looking forward to having an excellent discussion over some delicious food! Posted on July 16, 2012 by Admin and tagged Shira Events. We recognise this comes at short notice, but we'd really appreciate it if you could book and pay ASAP for catering purposes. Bookings for the Kiddush lunch will be closing on Wednesday July 18th. Posted on July 9, 2012 by Admin and tagged Shira Events. A journey through the Song of Songs by Victor Majzner & Deborah Masel z"l.
We warmly invite you to this event and hope you can share it with us, in memory of our dear friend Debbie, and we wish Victor every success. The book launch is tonight at 6pm, with an opening address by Mark Baker. The exhibition opens 10am Thursday 10 May and continues until 5pm Sunday 27 May. This exhibition will provide viewers with a unique and original exploration of a contemporary Jewish response to the biblical Song of Songs, through a selection of major paintings which represent a synthesis of Deborah Masel’s poetry and Victor Majzner’s paintings. Book Launch Wed 9th May: Glen Eira City Council Gallery, Corner of Glen Eira & Hawthorn Roads at 6pm. Posted on May 8, 2012 by Admin and tagged Shira Events. Our Under 35's Dinner is this Friday night — why not book right now? "Dayan(not) — Options for Orthodox Female Leadership." Ellyse has spent the past few years studying 'Women in Judaism and the Law' in universities and Batei Midrash, as well as interning at the Centre for Women's Justice for Get (divorce) Abuse Cases in Jerusalem. Bookings; Cost is $15 and can be paid via paypal on the Shira website, www.shira.org.au/dinner. Please spread the word, this will certainly be an engaging evening - bookings will close by Wednesday. Posted on April 30, 2012 by Admin and tagged Shira Events. We're going to watch the Israeli film 'Footnote' together on Thursday, Feb 23 at 7pm at The Classic. The film is universally acclaimed and has just been nominated for an Oscar! The plot revolves around a power struggle between a father and his son who both teach at the Talmud department of the Hebrew University of Jerusalem. Tickets cost $15, a portion of which goes towards Jewish Aid Australia. Book here. Posted on February 1, 2012 by Admin and tagged Shira Events. We're delighted to invite you to our first Kiddush Lunch for 2012, to be held in 2 weeks on Feb 11th. Our guest speaker is Dr. Daniel Gordis, President of the Shalem Foundation, and Senior Fellow at the Shalem Centre in Jerusalem. He is a regular columnist for the Jerusalem Post and a frequent contributor to the New York Times. He is the author of numerous books on Jewish thought and currents in Israel, and a recent winner of the National Jewish Book Award. Dr Gordis has just co-released a book about conversion, and his next book on Israel, The Promise of Israel: Why Its Seemingly Greatest Weakness is Actually Its Greatest Strength, will be published in 2012. 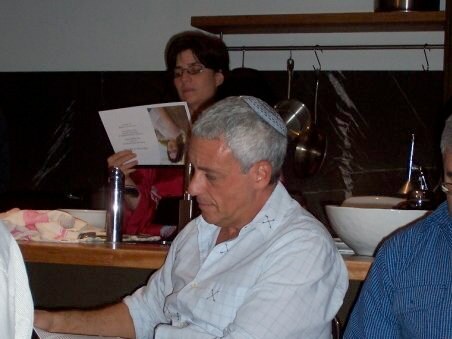 Dr. Gordis will be speaking at the Kiddush Lunch at Shira on Feb 11th about his writings. We need to know booking numbers for catering lunch ASAP. Please RSVP by booking online via PayPal here. Adults $20, Concession $10, little kids free. Bookings close by Wed Feb 8th so book soon please! On Friday night before Kab Shab, Shira is hosting David Shneer and Gregg Drinkwater for a short talk about Judaism and Homosexuality. David and Gregg, married, are two of the three editors of Torah Queeries: Weekly Commentaries on the Hebrew Bible. David is a Professor of History and the Director of the Program in Jewish Studies at the University of Colorado. Called "taboo-breaking" by Tikkun magazine, Shneer's work concentrates on modern Jewish society and culture. There is no charge for this event — join us at 6.30pm. Dr. Daniel Gordis, David Shneer and Gregg Drinkwater are guests of the Monash ACJC Conference, 12th and 13th Feb. Learn more about the conference on their website here. Posted on January 31, 2012 by Admin and tagged Shira Events. 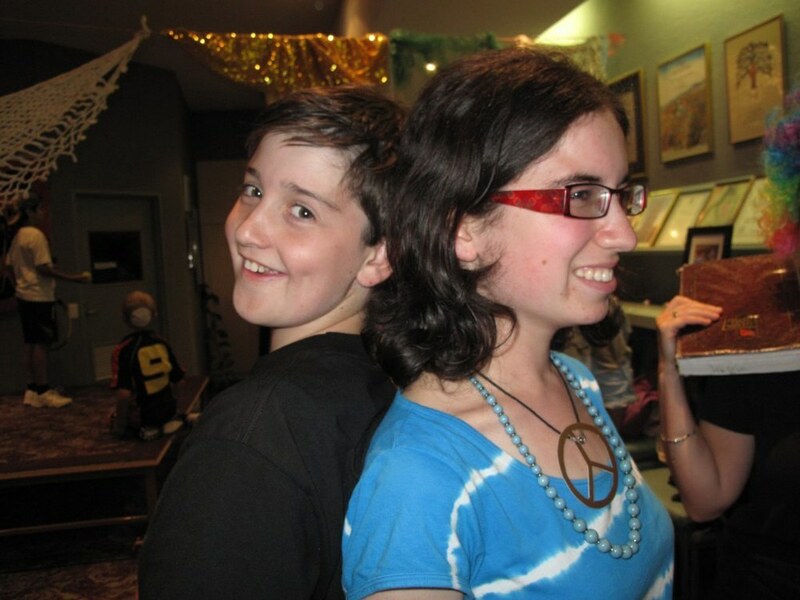 Please note that the Annual General Meeting (AGM) of the Members of Shira Hadasha, Melbourne will take place on Wednesday, 7th December 2011 at Shira Premises, 222 Balaclava Road, Caulfield North at 8:00 pm. The confirmation of the Minutes of the Annual General Meeting held on 9th December 20010. Posted on November 10, 2011 by Admin and tagged Shira Events Shira News. Program begins at 9:00 pm. The Round Up (French: La Rafle) is a 2010 French film. Based on the true story of a young Jewish boy, Joseph, who starts on his way to school with a yellow star sewn on his chest, to a mixture of reactions from the community. Life under occupied France is one of fragile caution, until one morning, July 16th 1942, when 13,000 Jews are rounded up into the Velodrome, not by the Nazis but by the French Police, in their enthusiasm to collaborate. The film follows the real destinies of families caught up in this little known piece of history. We will hear from a French survivor before the screening. 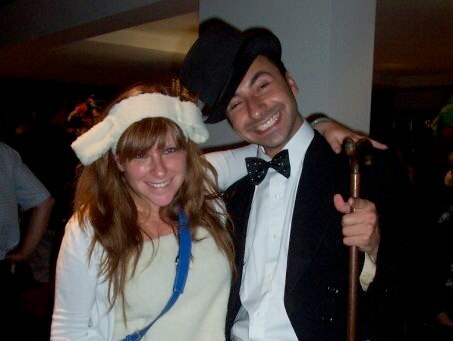 Posted on April 18, 2011 by Admin and tagged Shira Events Tikkun Olam. 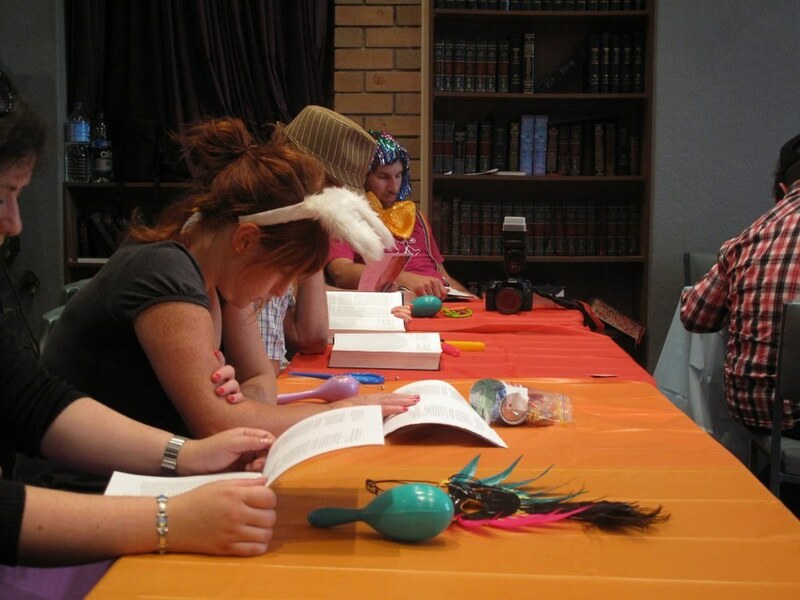 Thanks to all our volunteers who helped make Purim so much fun, and thanks to our brilliant Megillah readers as well! 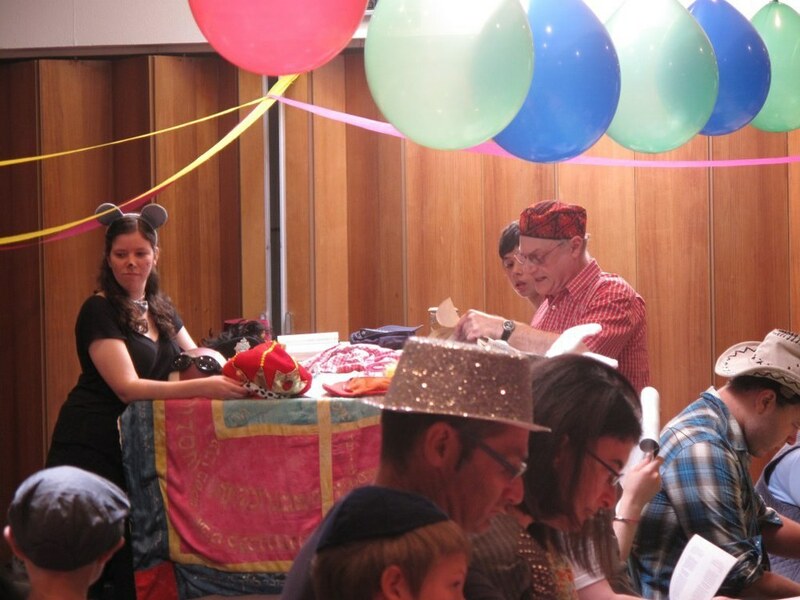 Everyone's costumes, enthusiasm and hearty appetites helped make this one unforgettable Purim! Posted on March 31, 2011 by Admin and tagged Shira Events.